Welcome back! More Project Life coming at you! Initially, the idea of Project Life was to create a double page layout for every week of the year. At the end of the year, you'd have 52 weeks of memories captured. Many people go by this idea. For me, although I like the project style layout, I like to do traditional layouts as well. Therefore, what I do, is "play by my own rules". In 2013, I created three scrapbooks: One for the family, one for Jane and one for Jack. Within those albums I did some project life layouts. Here's some of my favorites! In 2014, I am doing one big 12x12 scrapbook album. It is divided into 12 sections for each month. Each month begins with a calendar and behind it I store the kids art or certificates for that particular month. <Thanks for the idea, Sara Case Strickland!> Then, I scrapbook traditionally any layouts that I feel like for the month. January doesn't have very many layouts but April has a lot. In addition to the traditional layouts, I have a project life style layout that captures many photos that perhaps wouldn't need their own page. Some months have a double page layout like April as there was Easter and a family trip to the GeoCentre. This week's project is one of the project life style layouts I did for April. If you saw last week's post, you can see that this layout is actually on the other side of the project life style layout. To finish up really quickly, I have mini albums for gifts. I also do mini albums for little adventures. I intend to create the kids a 6x8 book each for 2014 when I get my hands on those new Stampin' Up! products. Stay tuned. You'll notice that I had an interesting way of journalling. Sometimes I journal straight on the page like here. Other times I use the DSP in interesting ways. Don't feel like you need to only stick to the journalling cards. This is also one of the "flippy flaps" that I discussed last week. You can adhere these with washi tape. I often put sticky strip underneath it or sew it, just for extra security. It always depends if there's a "face" on the picture or not. Although these are cute little journal cards, I decided to cut out a picture to fit it. I believe I used my 2 1/2" punch for this. I also journalled around the circle. Make sure you keep hopping, you never know what Cindy is up to next! When I grow up and learn to really scrapbook, I want to be just like you! 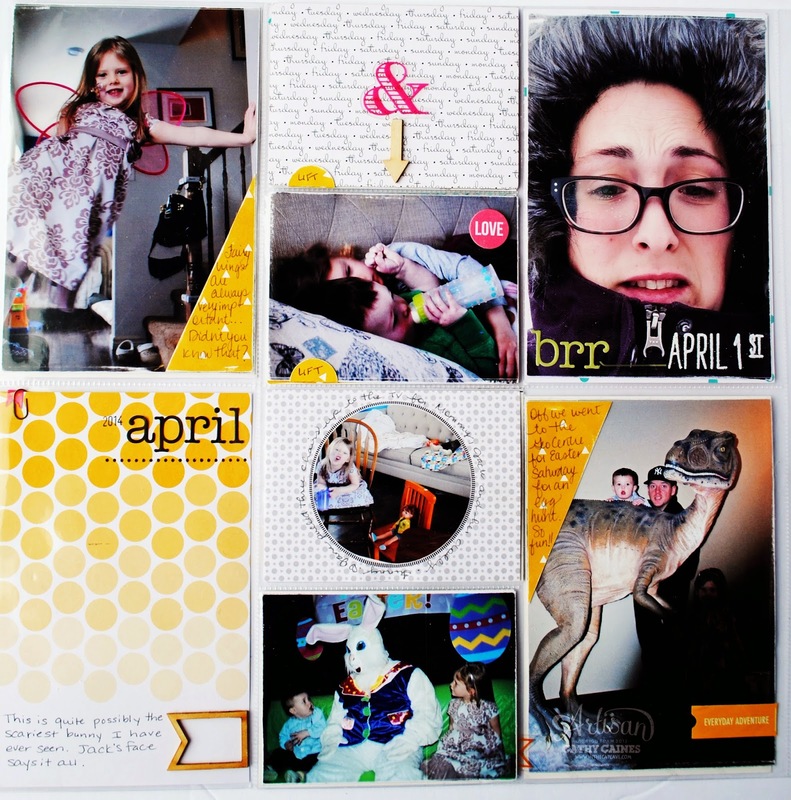 you and your style of scrapbooking amaze me! I love how you use PL! great creative journaling and use of the PL by SU products. Great ideas! I love how you created a flip up page with the washi tape! Great page! The little girl in the upper left picture reminds me of a niece when she was younger...well, the age of this little girl, hair color and all!